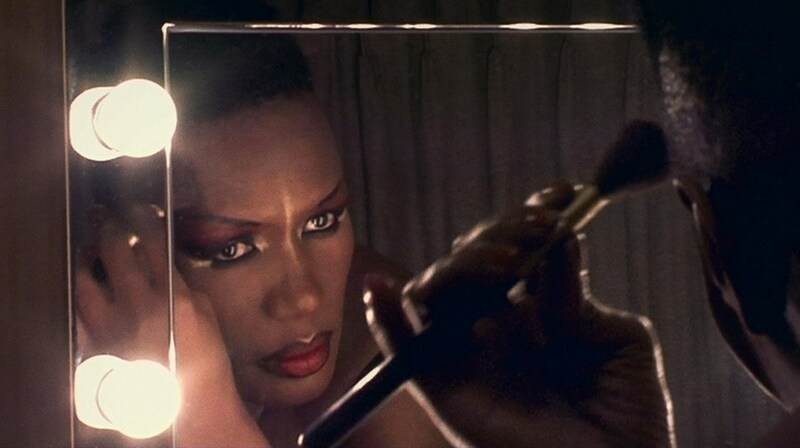 Go on an electrifying journey through the life and art of glam-pop superstar Grace Jones. A larger-than-life entertainer, screen star and androgynous diva–Jones is all these things and more. Combining intimate personal footage and dazzling musical sequences with candid backstage moments and interviews with her closest collaborators Sly & Robbie, acclaimed director Sophie Fiennes goes beyond the traditional music biography, offering a portrait as stylish and definition-defying as its subject. Join us for one of the must-see concert docs of the summer and strut your stuff to the sultry club classics "Slave to the Rhythm," "Pull Up to the Bumper," "Love is the Drug," and more. Arrive early as we kick off the night with DJ Chris MaGee and drink specials. This Film Should Be Played Loud: See new, classic and rare music docs on the big screen.